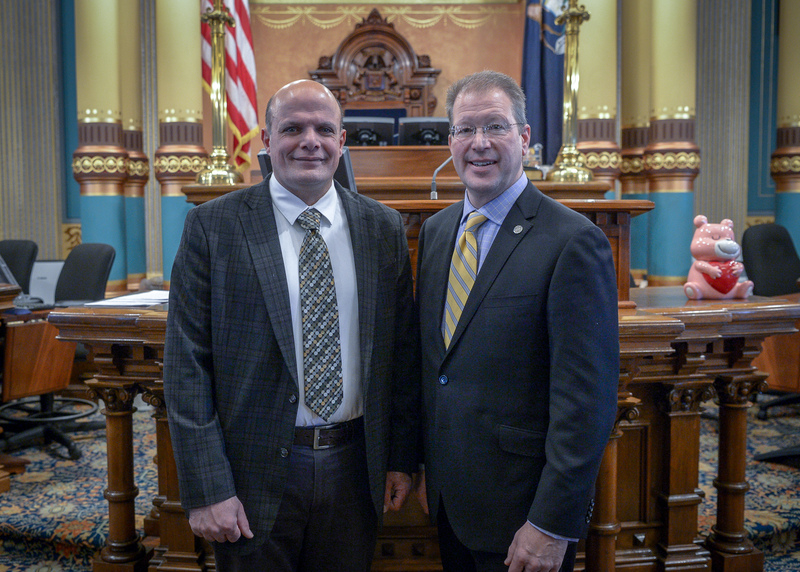 LANSING, Mich. — Sen. Dan Lauwers, R-Brockway Township, (right) welcomed Huron County Commission Chairman Sami Khoury of Sebewaing to the Senate chamber Tuesday. Khoury joined Lauwers for Gov. Gretchen Whitmer’s State of the State address.